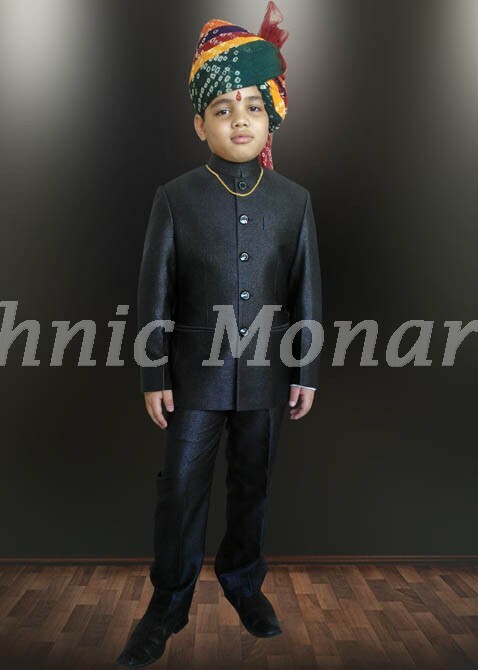 This black jodhpuri suit with five buttons or button holes . Same fabric trouser comes along with this . Golden chain, safa and shoes shown in picture are for photographic purpose only. .Slight variation in color is possible.